Part 1: Who played Meg, Jo, Beth and Amy best? When I first heard that Heidi Thomas, the showrunner of “Call the Midwife,” was making a three-hour treatment of my beloved “Little Women,” second only to in my heart to “Anne of Green Gables, I could not wait. 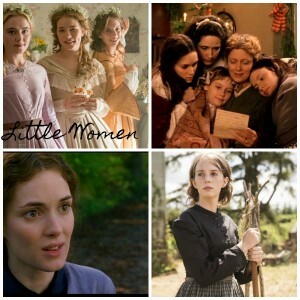 In the last year and a half I have both reread “Little Women” and rewatched the 1994 movie, starring Winona Ryder as Jo, so I felt well prepared for whatever Thomas had in store. I liked that this would tell the story in three hours, not two, as the 1994 movie attempted to do. Although, really a 600-plus word tome deserves a six-hour miniseries at least to wring the last juicy drops out of it. So, Who played our Little Women best? I thought Trini Alvarado (1994) as Meg was perfectly fine until I watched Willa Fitzgerald (PBS) embody the Meg of my imagination. This Meg is warmer, sweeter, but with more substance and pluck, too. This Meg is one of the gang but in a firstborn, responsible kind of way. Winona Ryder’s Jo was all warmth and passion, and she was nominated for an Academy Award for the role, after all. She plays a very good Jo March, but Maya Hawke is Jo March in every scowling, naked look of disappointment and enlightenment and love. She boasts a bristling, bubbling creative energy and irrepressible spirit that to me is unfiltered Jo. Hawke is also warm and passionate but adds a gangly awkwardness and tomboyish zest that rings true to the character. All of these qualities work for the scenes with Laurie (Jonah Hauer-King, we’ll definitely get to him next week). Now, this is debatable but as one who has always been firmly #TeamBhaer, it’s important that Jo’s chemistry with Laurie is sisterly. We know as readers that Jo is simply not ready for love, and that her soul mate awaits. Indeed, according to a fabulous article on Indiewire, director Thomas, Hawke and Hauer-King worked to lessen the romantic chemistry in their performances. Meanwhile, the Winona /Christian Bale chemistry crackles, something I don’t believe the book intended. Of course, THAT’s a slippery slope. Louisa May Alcott never really wanted Jo to fall in love with anyone but felt pressured by her publisher and readers to make it happen. I’m not gonna lie: I’m glad Jo fell in love…but not with Laurie. Did you guys hear that Maya Hawke will be in “Stranger Things” next season? You know, the show in which Winona Ryder stars??? WHAAAT? Beth is so important to the story. She not only brings sadness and a dark backdrop for everything else to shine brighter, but she shows how to be a selfless sister and a friend. She shows us a certain kind of person who cares more about the needs of others than she does for herself. 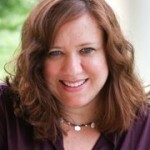 We do have some angels among us and Beth March is one of them. Both Claire Danes in 1994 and Annes Elwys in the PBS version were deeply compelling. Gentle, sweet, and strong underneath it all–that’s our Beth. I did love Elwys’ freckles and the palpable closeness of her Beth with Hawk’s Jo, but overall felt that both actresses played Beth with great tenderness. The one big mistake made by the new PBS adaptation is that they chose to cast one Amy, not two. So when an actress (Kathryn Newton) is 21 (two years older than Maya Hawke’s Jo!) and we witness her torching her sister’s manuscript, it’s hard not to abhor her with the heat of a 1,000 suns. That scene is a lot easier to take when the actress is 12 or whatever. In 1994’s version, Kirsten Dunce was cast as young, childish Amy and then Samantha Mathis assumed the role midway through. I think that’s the way Amy should be cast–twice. Still, Newton’s Amy did grow on me in the second and third hours. 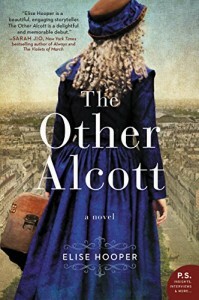 Maybe it’s because I am reading “The Other Alcott” by my Instagram buddy Elise Hooper, a rich and sumptuous novelization of May Alcott, Louisa May’s younger sister and the basis for Amy March. I understand Amy much better now. Last time I blogged about this I said Amy March was a mean girl. I still think she had her mean moments, and I’m not suggesting we forgive her completely for burning Jo’s manuscript. But I get now that Amy is really an artist, too, and loves her family dearly. 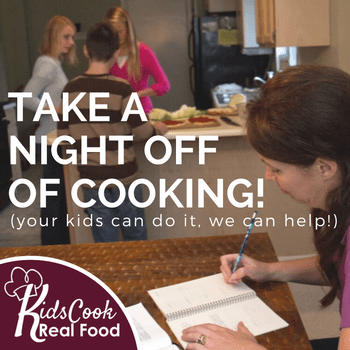 She’s much more complex–in a good way–than we give her credit for. 1994 child Amy AND PBS grown-up Amy! Well, what did you think of the four (or five) actresses who portrayed our girls Meg, Jo, Beth and Amy in each production? Who got it right? Do you have strong feelings either way? Comment below for your chance to win “The Other Alcott”! PS: Next week: Who played Laurie, Professor Bhaer, Marmee and Aunt March best? Oh Me Oh My… I was holding my breath for your opinion on this adaptation, and so happy to see the love continuing on for it! My sister and I (for that is the BEST way to watch Little Women – with sisters) blazed through all three hours in one sitting, and experienced happy thrill upon happy thrill at each new scene that had previously been left out of movies. And for someone who’s been to Orchard house, the finer details of the set did NOT disappoint! I haven’t read The Other Alcott yet, but May’s life has been quite intriguing to me of late, and I can’t wait to get my hands on a copy! That is awesome! Which part of the set really impressed you as being authentic from Orchard House? The floor plan seemed pretty on point, but there’s a tiny detail that just MADE it… when Beth is sick and Marmee crosses the hall to have a moment — in that bed room on the mantlepiece is a painted owl that is exactly like the one that May painted on Lousia’s fireplace for her – cause Lousia loved owls so much! I just finished watching the PBS version yesterday. The 1994 version was the first movie my husband and I saw in a theater together. At the time he was my boyfriend and I knew he must really love me to sit through Little Women with me. Haha Anyway, I’m not just saying this, but your review is 100% how I would vote as well! They definitely should have cast two Amys! In addition, I think I preferred Susan Sarandon as Marmie and I loved the PBS Laurie! The professor is a tough call! The PBS one grew on me even though I didn’t care for his looks initially. The only PBS sisters I cared for were Meg and Beth. The young Amy seemed too old for the part and Jo wasn’t convincing enough. I agree on the first part–Amy was too old! She was good as older Amy but they should have cast two people! After seeing the entire series – all in for this version – they got so much right – INCLUDING the charity work which in prior movies/series was treated as an afterthought but actually was vital to the March family. They also treated God properly – as evidenced by Beth’s frankness about accepting His will and still obviously loving Him and also with Jo – struggling against God’s allowing things but still obviously believing. Thumbs up to the producers for this! I agree. Good point on the charity work! I vote for all the Little Women of PBS! Well, maybe not so simple, eh? I like that, too! For me, the Megs were hard to choose between. In the end, I enjoyed both of them so I would say they’re tied. As for the other three, I vote 1994 version all the way! Wow, a tie for Meg! It’s so subjective, isn’t it? I like these newer characters much better! I think they’re more in line with the book. This No is so much more emotional, just like the true character. I agree! I think they are very much like LMA intended. I have always loved the 1994 adaptation. It’s my go to movie when I have the night to myself. I feel the same way about Sense and Sensibility! I think I agree with you. I do love Claire Danes trembling chin though in the ‘94 version. I don’t know if I will ever like Amy, and I am annoyed she and Laurie married. He should have stayed away, but I understand why he fell for her. I haven’t seen the newest adaptation yet so I am still partial to the 1994 edition, which made me fall in love with the story in the first place! I enjoyed watching the PBS version, but still love the ’94 version better! Maybe it’s because Winona, Claire and Christian have always been some of my favorite actors. I have to say I agree with all your choices! Especially Maya Hawke as Jo! I thought she was spot on! I look forward to your thoughts on the next post as well! I agree with all your choices, especially with Kristen Dunst as young Amy. For me, she is one of the only bright spots in the 1994 movie! I know I’m in the minority, but I really don’t like that film. The liberties they took in the second half, and particularly in portraying genial, fatherly Professor Bhaer as a moody discontent and good and noble John Brooke as an insufferable fop, totally ruined it for me. Can’t wait to read your thoughts on those characters in the next post! I am really partial to the 1994 version. Kirsten Dunst did young Amy fabulously. Claire Danes is definitely my choice for Beth, hands down. I don’t know that anyone can top Claire for me. I loved the whole movie, except for Amy marrying Laurie, but that isn’t an acting problem. It is watched at least a couple times per year. I mostly agree except for Amy. To me, Kathryn Newton was woefully miscast and not just because at the beginning Amy is 12 years old. Amy is supposed to be snobby and self-important but ultimately good-hearted. Yes, she burns Jo’s manuscript but who didn’t do something stupid and rash as a kid? Kathryn Newton however plays Amy with malice the whole time. Everything she says comes off manipulative. Other than that, the new adaptation is so good.